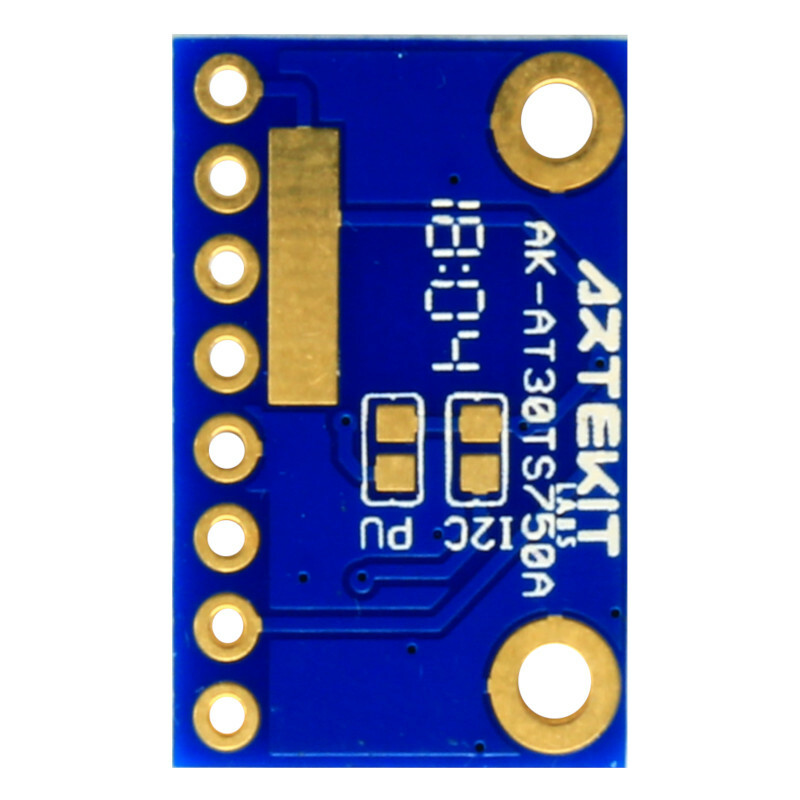 Breakout board for the Atmel AT30TS75A temperature sensor. 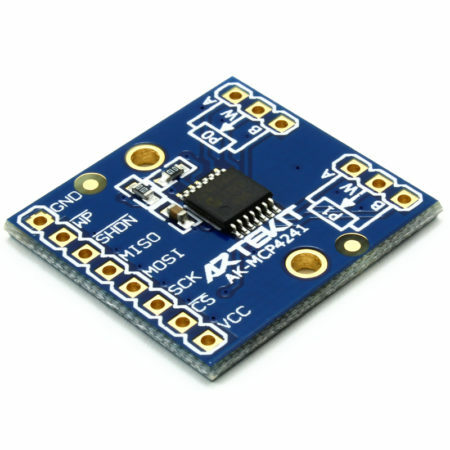 This is a breakout board for the AT30TS75A temperature sensor from Atmel. It is a highly accurate temperature sensor: ±0.5ºC accuracy (typical) over the 0ºC to +85ºC range, and it can measure temperatures over the full -55ºC to +125ºC range. 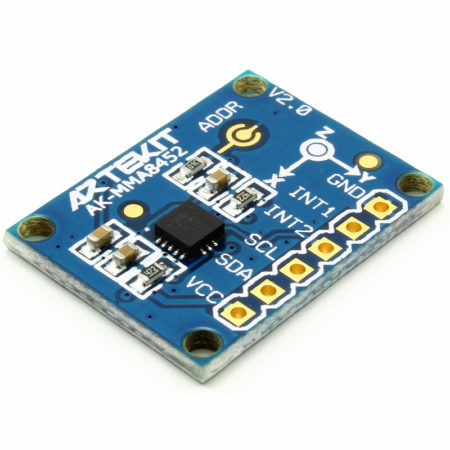 You can read the temperature using the 2-wire interface (I2C), so it means it is very simple to use and works with any microcontroller that has an I2C channel. The AT30TS75A is factory-calibrated and requires no external components to measure temperature, so you can use it directly out-of-the-box. It also has an ALERT pin that can be programmed to indicate if the measurement exceeds a user-defined temperature (high and low temperature alarms). 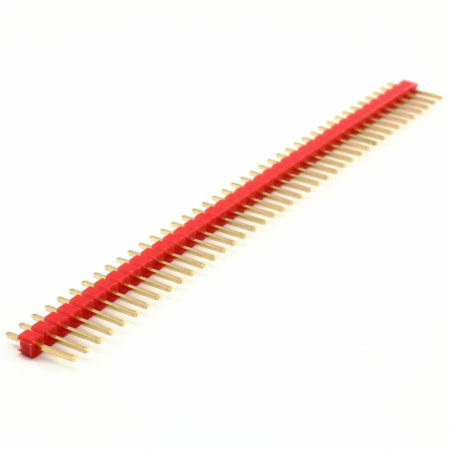 The header on the board is 0.1″, so you can solder a header strip and plug it to any standard breadboard. The board has two mounting holes so when you are ready, you can place the sensor out of the breadboard with ease. 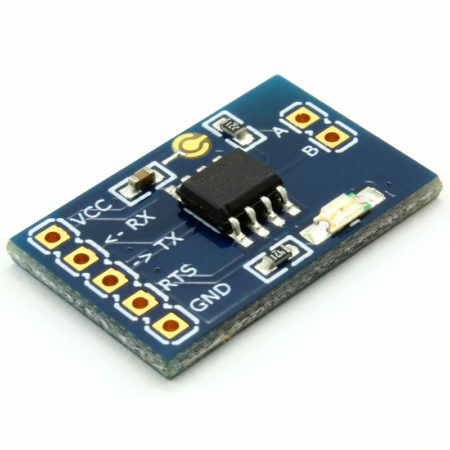 The sensor is very simple and straight forward to use. An Arduino sketch is available for download that shows how easily you can start measuring temperatures today. Before 01/07/2019, we were shipping this board with the AT30TS75 version. It can measure temperatures from -55ºC up to +125ºC. 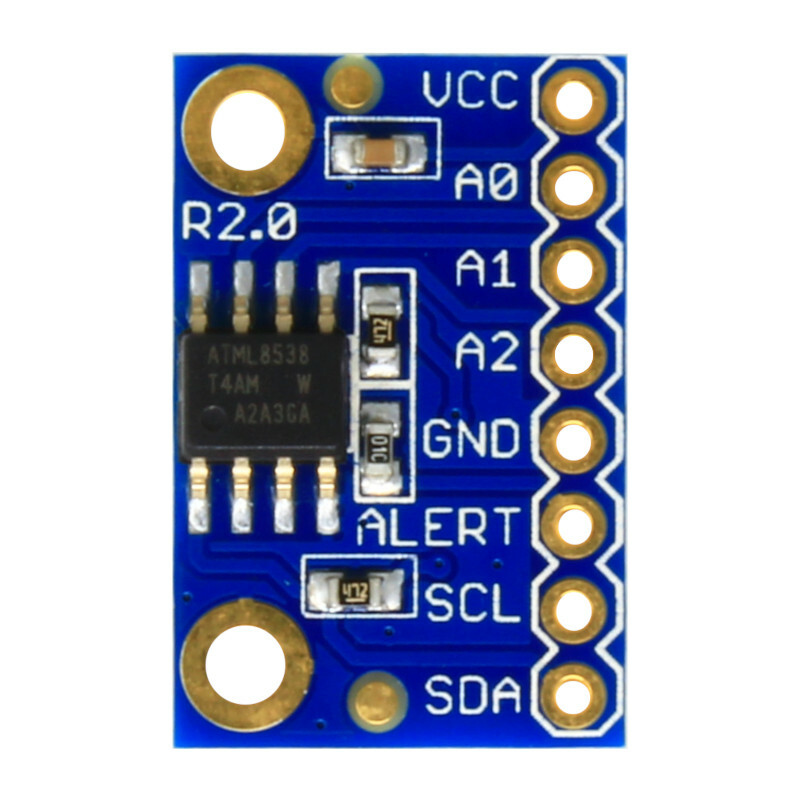 ALERT output pin for temperature alarms. 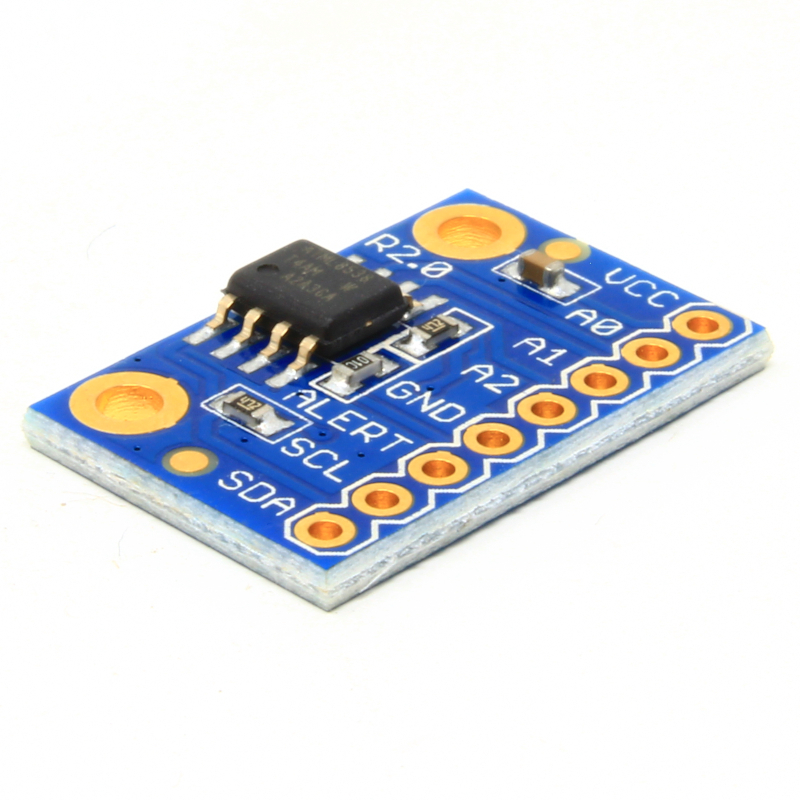 2-wire I2C interface (max. 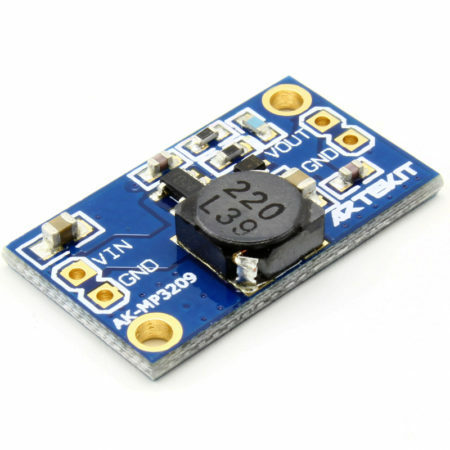 3.4MHz). 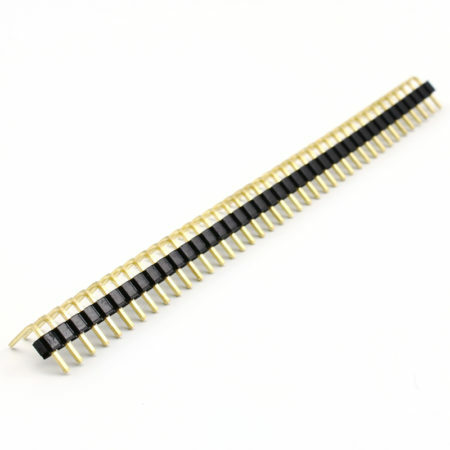 Configurable I2C address using designated pins.